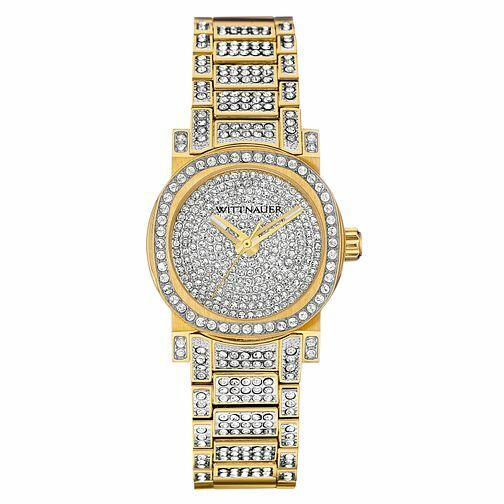 Look radiant with this two colour crystal encrusted time piece. This vintage inspired model gleams on the wrist and would complement any evening outfit. Whilst being intricately crafted; this timepiece from the Adele collection still offers 50m water resistance, making it beautiful yet practical. Boasting a legacy of almost 150 years, the Wittnauer collection embodies confidence, sophistication and luxury.